Hi, my name is Olena Luggassi. I'm a professional Educator and Fashion designer living on the Gold Coast, Australia. Welcome to my world of Design and Inspiration. Something amazing happens when you live an authentic life and start doing what you love and what makes you happy. You love Mondays and you stop waiting for the weekends. You become more grounded and you start enjoying every moment of your life. You begin to live in each moment with more gratitude and kindness. Olenaluggassi.com is a health, wellness, design and education platform designed to inspire you to live a healthy, happy and creative lifestyle. Living a purpose-driven life is the foundation of fulfilment and happiness. I wake up every day with a plan to feel inspired to live a new day and to inspire others to do the same. Life moves at the speed of light and your time is the most precious asset. 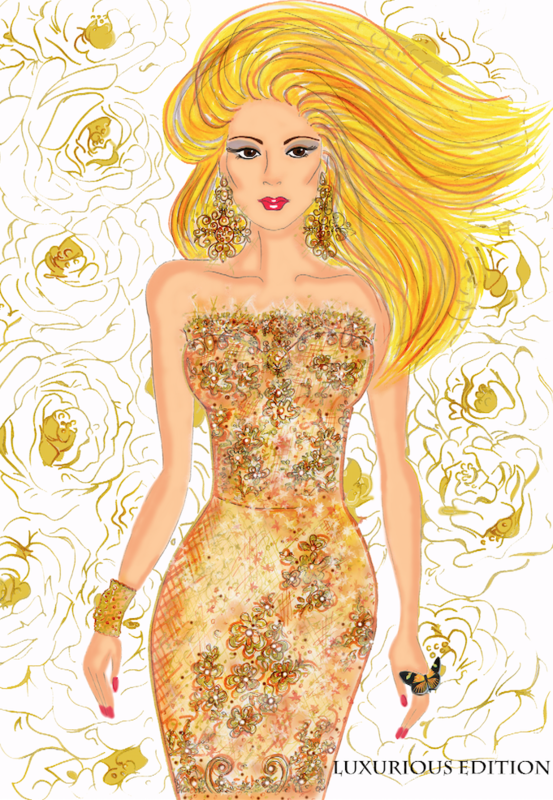 Designing and illustrating has been a passion of mine since I was a little girl drawing dresses for paper dolls, and then later sewing for my Barbies. After teaching Fashion design at a few fashion schools, including the Whitehouse Fashion Institute of Design in Sydney, and my private fashion design Studio, I've created Illustration and Design online courses which you can access anywhere in the world. I am also working on my first book INSPIRED & DESIGNED. Life is amazing if you do and see the amazing things around you! Join me on the journey of health, wellness and creativity. ​How to Present Your Creative Design Ideas? Fashion Designers, Illustrators and other creatives compile Portfolios to showcase their best artwork, designs, collections and prints. ​I use an A3 Professional Portfolio case to keep all my work, and I also have a Digital Portfolio of my work. It's your choice if you wish to create a print or digital portfolio of your best work. You can also create a Video Portfolio if you have great video skills. Your Portfolio is there to help you market yourself. Print. Print your work at home or order it to be printed by a professional printing company. Digital. Save your work in a PDF file (min resolution of 300jpg) and showcase it to a potential customer online or in person. Video. Create a video of your best work, share it on your Youtube channel or on your website.